This is a go-to recipe in the middle of the week when prep time is limited! 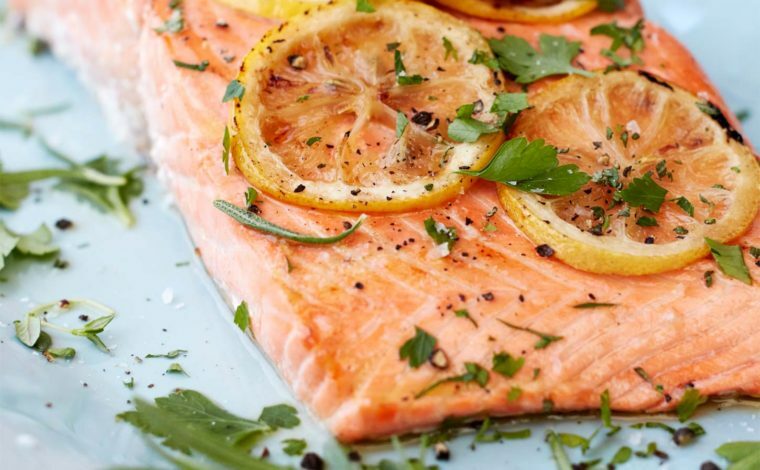 Place salmon on a sheet tray. Brush with oil and sprinkle with salt and pepper. Top with lemon slices. Roast until salmon is a bit brown on the edges but still a bit soft in the middle, about 15 minutes. You can use a thermometer and take it out of the oven when internal temperature is 140 degrees. Let rest 5 minutes. Serve with lemon wedges if desired.